We’d love your help. 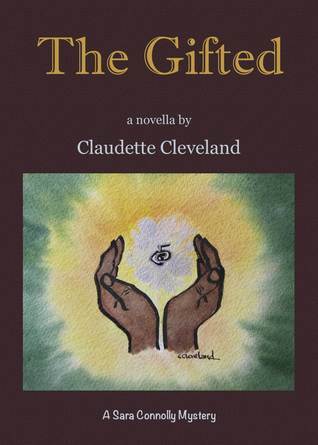 Let us know what’s wrong with this preview of The Gifted by Claudette Cleveland. Having helped recover hundreds of kidnapped people over the years, Sara Connolly now finds herself being one of the abductees. Asked to investigate a suspicious number of missing people, Sara through her psychic gifts sees that she is also to be taken to a mysterious facility where other gifted people are being held captive and were to be used as human guinea pigs. The susp Having helped recover hundreds of kidnapped people over the years, Sara Connolly now finds herself being one of the abductees. Asked to investigate a suspicious number of missing people, Sara through her psychic gifts sees that she is also to be taken to a mysterious facility where other gifted people are being held captive and were to be used as human guinea pigs. The suspense and adventure builds as her husband, ex-FBI agent, Matt and good friend Chicago PD detective, Jim go undercover. To ask other readers questions about The Gifted, please sign up. My passion in life is creating. Whether it’s writing or painting, I become totally absorbed in my current project. For instance, when writing, I receive a movie in my head filled with special effects including surround sound. Writing then becomes a process where I transcribe my mental movie into words. The story is all quite real for me because I put myself right into the situations that I feel I’ My passion in life is creating. Whether it’s writing or painting, I become totally absorbed in my current project. For instance, when writing, I receive a movie in my head filled with special effects including surround sound. Writing then becomes a process where I transcribe my mental movie into words. The story is all quite real for me because I put myself right into the situations that I feel I’m actually experiencing. My writing goal is to pull you in with me so that you too are hearing, smelling, feeling, tasting and seeing all that is happening as we develop a personal relationship with the characters. My traveling experiences help me to bring an authenticity to the story’s setting and to share the anecdotes of wonderful people I’ve met. From the feedback I have gotten from you, the readers, I think I am succeeding for many have brought Althea and Tashi from the Beneath and Beyond Trilogy off the page and into your lives. You’ve also found a part of yourselves, an alter-ego if you will, in the character Sara of the Sara Connolly Mystery Series. I really appreciate everyone sharing their insights and feelings with myself and others, making this chapter in my life very rewarding.